tags: Author Channel, Authority, Authors, Bad Bosses, Be a great Leader, Become a Great Leader and Soar, course corrections, Enterprise Radio, Eric Dye, Ken Pasch, Leadership, On Course, workforce. 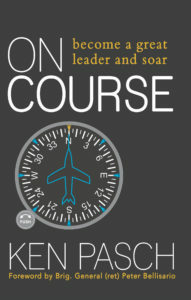 Ken Pasch, the author of: On Course: Become a Great Leader and Soar joins Enterprise Radio. 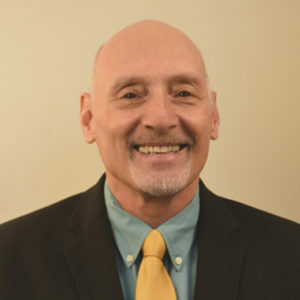 Ken brings over 30 years’ experience in revolutionizing leader development within a broad range of organizations, including the U.S. Military, Johnson & Johnson, the American College of Healthcare Executives, and the Pennsylvania Department of Health. What prompted you to write On Course? In the book, you mention having a eureka moment. When did this happen? Not many people like to admit their failures. What made you realize you were once a bad boss? Why do our bosses have so much influence on us? Is this a good or bad thing? I was surprised to read that many leaders are uncomfortable with authority. Isn’t this counterintuitive? As a leader, how do you know if you’re off track? Are there warning signs? Why do people need catastrophic events to spur course corrections? How should we measure success in today’s workforce? Isn’t it about the bottom line? What’s the one staff role every organization can’t do without? Why is leadership essential to our everyday lives? Ken Pasch brings over 30 years’ experience in revolutionizing leader development within a broad range of organizations, including the U.S. Military, Johnson & Johnson, the American College of Healthcare Executives, and the Pennsylvania Department of Health. He is Founder of KiVisions, Inc., which advises good people on how to become great leaders, and serves as faculty in executive education at the Smeal College of Business at Penn State University. Pasch is a retired Lt. Colonel in the U.S. Air Force, where he served proudly and with distinction.